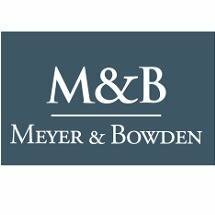 Meyer & Bowden, PLLC is a full service law firm representing individuals and businesses located in Loudoun County and throughout the D.C. Metropolitan Area. We are dedicated to providing quality legal services to our clients in a variety of practice areas with a commitment to exceptional client contact and service. We maintain offices in Leesburg and Fredericksburg and are available to meet with clients at our satellite location in Fairfax.